This whole learning-to-trust-myself thing has been a 28 year journey. And if I'm being honest, some days it still feels terrifying. Thats life, my love. It's one big experience of growing out of and back into your skin over and over again. For most of us, learning to trust yourself is like learning to walk all over again. And if I've learned one thing over the past five years it's that business is often one giant reflection of life. So, I've spent the past five years learning to let the outside noise fade away and trust myself in business. That brings me to this moment right here, sharing this with you. I want you to know that's it's not just a terrifying journey - it's also wildly empowering. And as you lean into trusting yourself more, you're gonna break through and soar. Like a caterpillar breaking through it's cocoon as a butterfly. If you're here reading this because you came from the podcast, you're probably wondering why there's not a new L Chat this week. The short answer? I'm learning to trust myself and that means trusting myself to allow the podcast to evolve and grow. The long answer? If you've listened to this episode, you'll know that I decided to lean into uncertainty as the podcast started to evolve at the beginning of season 6. I realized soon after (ahem, a week after) making that decision, that that was only a first step towards where I was intentionally headed. And I quickly realized that a much deeper and bigger evolution was happening. Here's what happened: after making that announcement, I leaned further into trusting myself, and trusting that change, although scary, can be an incredible and beautiful thing. It means I'm pulling back and slowing down even more with the content I'm producing on the podcast. We often think that slowing down and producing less is a sign of weakness or failure. Yet, every year, nature so beautifully shows us how untrue that is. When fall comes and nature starts to slow down and produce less, no one looks at the trees in disgust of how lazy they are. We cozy up and get excited for what's to come. And a few months later, when spring comes everything begins to bloom and we're surrounded by new growth everywhere, we fall in love with the seasons once again. I'm entering my season of fall. I've been producing three episodes a week on the podcast for a year and a half (that's nearly 200 episodes). So, now is the time to slow down. Both so that I can pour into my cup more and then pour out into yours in new and exciting ways in the near future. If you're on this same journey of learning to trust yourself as your business grows and evolves, cheers to you, my love. Just like with any relationship, trust doesn't happen overnight. Give yourself permission to lean into this journey, and set healthy, loving boundaries that will empower you. As you're getting comfortable trusting yourself, here are a few questions that have served me beautifully. They're easy ways to turn your focus inwards when you're making decisions, both big and small, and to learn to listen to that voice that is truly yours. 1. What decision gives me the most peace and joy? It's really the most simple of questions to tap into your intuition - that inner wisdom that always knows. This inner wisdom is the same one that tells you to get out of a place/situation that just doesn't "feel right". Your intuition will always lead you towards the path of least resistance. The way you'll know this is whether or not it gives you more peace and joy than the alternative. You can't begin to trust this voice until you begin learning to listen to it. This question will lead you. 2. By making this choice, am I trying to please others or please myself? Trusting yourself is about you. Not anyone else. Chances are, not trusting yourself for years has gone hand-in-hand with trying to please others. When you're focused on what everyone else wants for you, it's impossible to know what you truly want for yourself. When you ask yourself this question, wait for that feeling in your gut or your heart. A choice that is trying to please others will feel like rock sitting on your gut/heart. It will feel heavy. A choice that is trying to please you will make you feel a little bit lighter when you imagine it. Follow the light. 3. What would I do if I believed I couldn't get it wrong? Ah! How wildly different would your life and business be if you made every choice by asking yourself this question?! Trust the answer. Trust yourself. Your inner wisdom is like your internal compass. It will not lead you into the darkness without certainty that there's an even brighter light on the other side. As a dear sister shared with me recently, "What would you do if you trusted yourself?" Personally, love, I think you would change your life, your business, and the world. 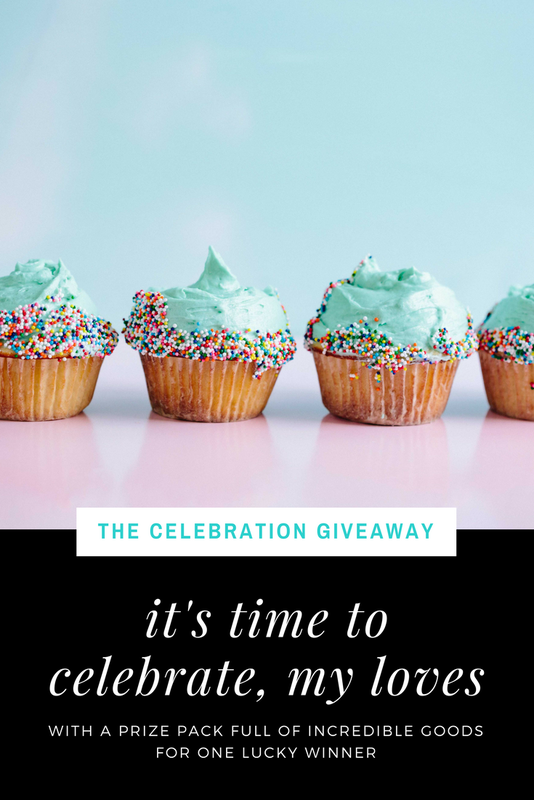 A celebration giveaway just for you. Because ... none of this would be possible without you, and my heart is so wildly freaking grateful for each and every one of you. This week is the second birthday of the podcast (ayy! two freaking years.) and the launch of The Sisterhood. My heart is so full of gratitude, and as with any milestone, I'm reflecting on the past two years ... all that I've learned, how much I've grown, and the incredible women I've met. This entrepreneurial journey isn't all bright, happy, sunshine-y moments. Amiright? It's a roller-coaster of emotions and feelings and fears and excitement and doubt and confidence. If I've learned anything, it's that you've gotta be your own biggest fan (thanks for this reminder, Grace). Because if you're not, who will? So, as a giant *hug* and "thank you, thank you, thank youuuu" to all of my biggest fans, I want to celebrate and love on YOU a little and remind you that I'm right here cheering you on with every octave of my loud voice!! I've asked some of my favorite ladies (and past podcast guests) to share some pretty awesome prizes with one lucky winner. 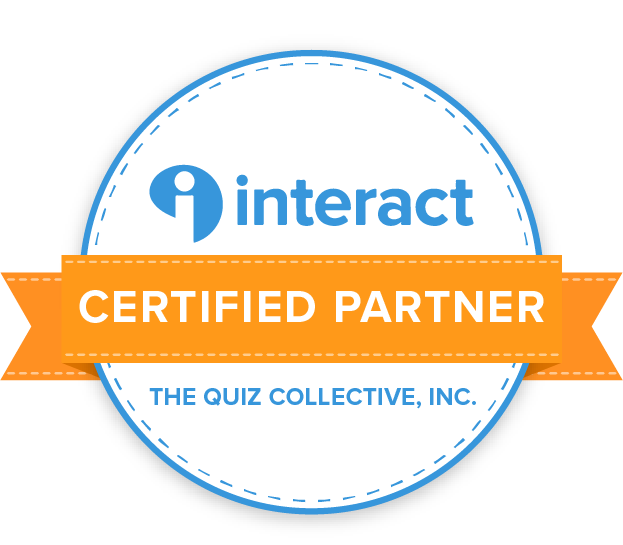 The prize pack is full of goodies that are 1) good for your heart and 2) good for your biz. Because, really, both should be a priority, sister. From a soulful journal to help you create your most inspiring and successful year to an incredible course to help you grow your biz using Pinterest, there's over $500 worth of value all wrapped up in one amazing prize! -Buzzing Creatives course: "Pin for Growth"
ENTER USING YOUR EMAIL ADDRESS BELOW. A random winner will be selected on 2/20/18. Your email will be shared with the businesses who've provided products/services for this giveaway. Some of the prize companies will be contacting the winner directly to provide you with the prize product/service. These questions and exercises are designed to guide you through self-discovery, exploration and fulfillment. This workbook will help you create your dream life from clarifying your vision to following through on execution. When it comes to running a business, there are several strategies that most Entrepreneurs recognize as important. Launching a product does not always make that list. Rachel, however, would argue that it is one of the most important steps. If you look at the businesses that are successful, they have a distinct Launch strategy. So, she’s compiled all the best launch strategies and tips into an easy-to-digest and implement guide. This guide will assist you in perfecting the launch for your business and product/service. And the best news? The strategies will increase your bottom line. So, more dolla billz in those pockets of yours. Sound good? Belong Magazine is designed to celebrate the art and community of blogging, social media and entrepreneurship. Issue 10 is full of women just like you, sharing their knowledge and passion to make a difference in the world. We hope that you will find the issue inspiring and life-giving. Brooke is the creator of Belong Mag, a quarterly digital and print magazine celebrating the art and community of blogging, social media and creative entrepreneurship. You deserve a brand that you're in love with + a website that attracts your dream clients. Instead of spinning your wheels, trying to figure out why the heck your inquiries are crickets, let us do the heavy lifting for you! With this brand + website consultation from us, Britt and Kelsey at Launch Your Daydream, we're going to give you actionable steps to bring your dream brand to life. It all starts with filling out a questionnaire we'll send you that will ask you all about your brand + biz! From there, we'll learn ALL about you, and we'll send you over an exclusive 10-20 minute recorded video review of your brand + website within 7 business days. Not only do you get a walk-through screenshare video of helpful feedback, but we'll have a written PDF sent your way that will show you step-by-step how to take your specific brand to the next level! When you're a solo entrepreneur, it can be totally overwhelming wearing all those hats. Lizzy Okoro is an LA based entrepreneur, consultant and speaker. She started a company called Bunch Magazine back in 2011 while living in New York. She left the company in spring 2017 and has been plotting and planning ever since. That experience was one for the books and has led her to consulting, leading workshops and speaking engagements around the US. You'll get this mug as well as a second "Boss Lady" design. Keep 'em both for yourself or share one with a girl boss in your life who could use a morning pick-me-up! Amy designs these mugs in house with her team, and they're hand-pressed by her using a high temperature heat press. That means the design is dyed into the mug, not pressed on, and thus never comes off or peels away! Amy started Paw Prints Photography after adopting her dog and best friend, Bear. She couldn't stop taking his photos and explaining to others their unique bond. It was then that she realized she wanted to capture that same bond for others and their pets. As her passion for business grew, she also incorporated pet-inspired mugs, with a handful of mugs to inspire her fellow girl bosses, too. In 2013, Emily Ann Peterson was diagnosed with a degenerative neurological hand tremor, which forever altered her two-decade livelihood as a cellist/cello teacher. Refusing to lose her life's love of expression, she knew she’d have to be brave. In an act of neurological defiance, she expanded into wider mediums and broke through her creative glass ceiling, opening the door to limitless possibilities through songwriting. Her book Bare Naked Bravery: How to Be Creatively Courageous helps people from all walks of life understand what bravery really is - allowing them to step into it by creatively using vulnerability, imagination and improvisation. Show your Macbook® some love with a Janet Gwen Designs marble case. Simple, timeless, and (seriously) chic, this practical design is bound to turn a few heads. With easy-to-use snap-on grips and a dirt & scratch-proof design, this two-piece set is more than just a pretty face; its lightweight and durable design is made to withstand the typical wear and tear of the on-the-go lifestyle of a girl-boss, toting it here, there and everywhere. Janet is the founder and creative director of Janet Gwen Designs. It’s a creative studio known for their gold and marble cases and hand painted phone cases (YES! HAND PAINTED!). JGD's mission is to encourage and highlight unfiltered creativity by challenging the social standards of art. They strive to make a statement by using bold colors and textures on traditional and non traditional surfaces. They create one-of-a kind pieces of art for those customers who appreciate the little details it takes to pull it all together. They make your hustle beautiful, one art-infused piece at a time. Pin for Growth is for creative entrepreneurs, small business owners, and bloggers who seek to gain targeted traffic and make passive income by using the highly effective platform of Pinterest. This course will give you an in-depth understanding of how you can leverage Pinterest to market your business and will provide you with the strategies you need. You’ll learn the basics of Pinterest for your business (creating graphics that work, how to drive traffic, using keywords, optimizing your profile, + more) plus learn how to use Pinterest to grow your list, your following, your traffic, and your business. Tript and Prabh, of Buzzing Creatives, are social media experts that specialize in Instagram & Pinterest - and yes they are sisters! They teach creative entrepreneurs how to grow their business online by leveraging social media. Buzzing Creatives was born out of their knowledge, experience, and passion for teaching. Being creatives at heart, Tript and Prabh are passionate about creative entrepreneurs turning their creativity into profitability without compromising their artistic integrity. A random winner will be selected on 2/19/18. Your email will be shared with the businesses who've provided products/services for this giveaway. Some of the prize companies will be contacting the winner directly to provide you with the prize product/service. *No purchase necessary. Open to those 18 years of age or older and US residents only. Sweepstakes begins 2/12/18 and ends 2/19/18 at 11:59 pm ET. Sponsored by The Real Female Entrepreneur. Email lauren@therealfemaleentrepreneur.com with any questions. To enter, provide your email address. One winner will be randomly selected on 2/20/2018 and will be notified via the email address submitted. The winner will have until 3/5/18 to respond. If not, another random winner will be selected. One winner will win a prize pack of (1) Janet Gwen Designs Grey Marble Laptop Case, Issue 10 of Belong Magazine, the course "Pin for Growth" by Buzzing Creatives, (2) coffee mugs, Lavendaire's 2018 Artist of Life Workbook, a brand + website audit by Launch Your Daydream, (1) copy of "The Solopreneur’s Dilemma: a manual on how to do it all when you’re all alone", (1) copy of “Bare Naked Bravery: How to be Creatively Courageous” by Emily Ann Peterson, and (1) copy of "Launch Strategy for the Creative Entrepreneur workbook" by Rachel Allene.